I graduated from Chavez School of Manual Dexterity and Prestidigation in Los Angeles, CA. in April, 1948. I spent the next ten years working with various sideshows on carnivals and circuses. 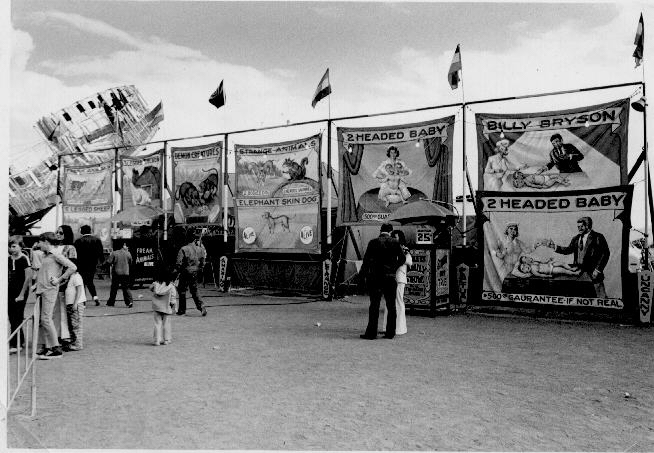 Beginning in 1959 I had my own 10-in-1 sideshow, touring with carnivals throughout the U.S. and Canada for over thirty years. I'll be using this site to tell some stories from my life during those times; my many varied adventures as an outdoor showman, illusionist, and prestidigator. DEAR FRIENDS PLEASE NOTE: On the evening of December 21, 2006, just 5 days short of his 80th birthday and surrounded by his family, Vanteen passed quietly of natural causes at the home of his daughter in Three Points, Arizona. I was not present as I was again in the hospital due to my ongoing battle with ovarian cancer. I wish to thank all those who have visited this site over the years and enjoyed it. Be assured that I will keep the site on the web as an archive, so that others who are interested in this now-vanished lifestyle can read about it from someone who lived it firsthand. My sincere thanks to everyone who visits here! You may of course send your condolences via eMail, however I will be unable to answer them. - Luna, webmistress. 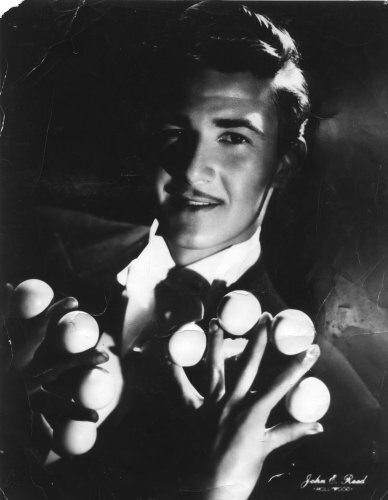 Above, a photo of Van with "Billiard Balls" - one of his specialties - taken during his Chavez days, when he performed his act evenings at nite clubs in the LA area. The Early Years: My start in magic. Sign my Guestbook: your comments, if you please!